LUXURIOUS LAKEFRONT LIVING FOR THOSE WHO APPRECIATE QUALITY AND ARE LOOKING FOR MORE THAN JUST AN AVERAGE LAKEFRONT HOME….This 2 bedroom, 2 bathroom lakefront paradise offers a level of detail and finish work not seen in homes twice it’s price with travertine floors, countertops and sills, double-paned insulated windows, detailed millwork, artfully painted walls and ceilings. 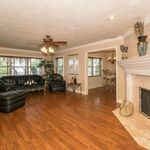 Great room is very relaxing with views of the lake, wood-burning fireplace and built-in surround sound speakers. 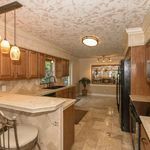 Kitchen and breakfast nook with designer lighting, travertine floors and countertops and a full appliance package. Two bedrooms are equally sized each with ceiling fans, ample closet space, faux painted walls and durable wood grain laminate floors. Main bath offers a travertine vanity with dual sinks, oil rubbed bronze fixtures and shower/tub with stone walls and accents. 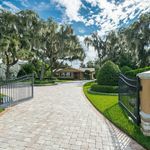 The home’s gated entry and completely fenced yard truly sets this home apart from others while the stack stone accented columns and wrought iron fencing create unparalleled curb appeal. Manicured park-like lawn and landscape showcases more attention to detail and the extensive use of pavers keeps the grounds spotless. 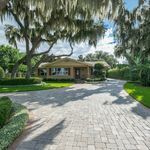 Yard is surrounded by hedges and plantings that have been strategically planted to provide ultimate privacy. 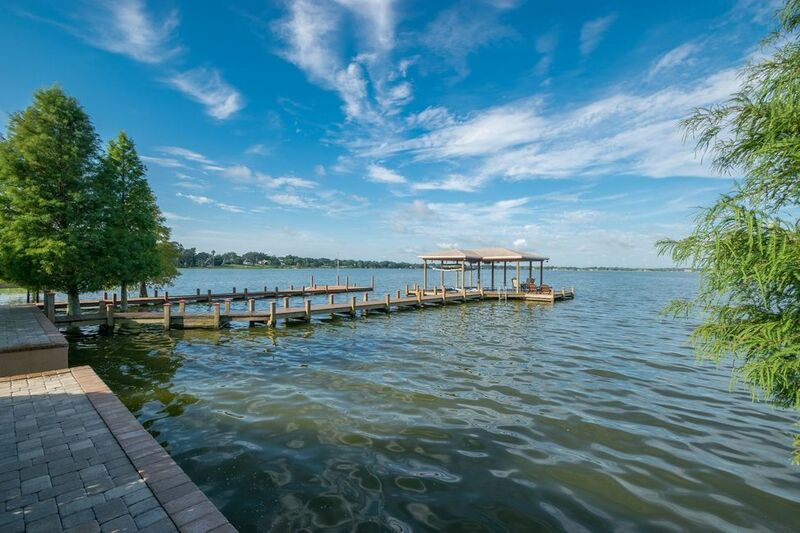 Lakefront has been landscaped with hedges so you can peacefully enjoy your time lakeside. 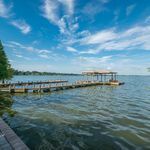 Dock offers a boat lift, two jet ski lifts, covered lounging space and open areas for sunning. So much more!! !